If you're the creator of the trust, called the settlor or grantor, changing the trustee is fairly simple. After all, one of the primary benefits of a revocable trust is that the settlor can amend, modify or revoke the trust at any time. It might not be necessary to hire a lawyer to change or add a trustee, especially since, as grantor, you likely have reserved for yourself the full power to act as trustee. Attach an amendment. A document that changes the terms of a trust is called an amendment. Anyone else who executed the original trust instrument with you (a spouse usually) must also sign the amendment. Like the original, it should be witnessed and, if possible, notarized. The amendment can simply identify the terms of the original trust that are being changed and include new language to take its place. Draft a restatement. If many changes are being made to a trust, it's usually recommended to draft what's called a restatement of the trust. This is a new document that replaces the old trust instrument entirely. It is possible to change the trustee by way of a restatement. Retitle assets if necessary. Changing the wording of the trust document is only part of removing a trustee and adding a new one. The assets of a trust are usually titled in the name of the trustee, though with a revocable living trust, the settlor often acts as trustee. If you are the trustee and you want to remove yourself as trustee in favor of someone else, retitling the assets (including accounts) can make them easier for the new trustee to access. Execute a power of attorney. 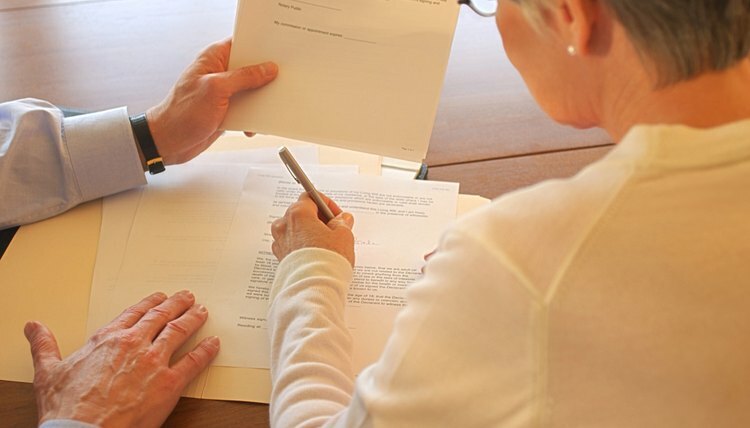 If you are the sole trustee of your revocable living trust and you want to give someone else the ability to act as trustee with you, you could execute a power of attorney granting the authority to act on your behalf in matters concerning the trust. This power can be very limited and revocable upon your incapacitation, or enduring. Nicholson, Joseph. "How to Change a Trustee Revocable Living Trust." , https://legalbeagle.com/5194782-change-trustee-revocable-living-trust.html. Accessed 26 April 2019.